Do you suffer from indigestion, heart burn or stomach pains? You could have a stomach ulcer. The bacterium Helicobacter pylori (H pylori) is a major cause of stomach ulcers. The infection occurs in both adults and children and once diagnosed can be treated successfully with a combination of antibiotics and other drugs. H pylori infection can weaken the protective coating of your stomach and intestines exposing the sensitive tissues to stomach acid increasing the risk of both ulcers and cancer. This test is a quick, simple, sensitive and reliable indicator of infection with H. pylori. All you need is a finger prick blood drop and you will have a result within 30 minutes. H pylori is a bacterium that plays a major role in the cause of peptic ulcers and inflammation of the stomach lining (gastritis). H pylori is found in the stomach wall where it is protected from the stomach acid. In developed countries infection rate ranges from 20 to 50% and is usually acquired during childhood and persists for life unless treated. H pylori, if left untreated, can be the trigger of gastritis, peptic ulcers in the stomach and small intestine and stomach cancer. 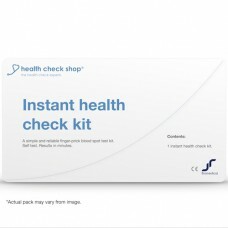 Will my medication interfere with the test result? No. Antibiotics, proton pump inhibitors such as omeprazole (Losec) and antacids will not interfere with the test result. The most common problem with H pylori infection is irritation and swelling of the stomach lining but is unlikely to cause symptoms and many people live without any knowledge that they have an infection. Only around 15% of people infected with H pylori develop an ulcer in the small intestine but nearly everyone with an ulcer of the small intestine has an infection with H pylori. Appropriate treatment to eliminate the infection heals the ulcer and prevents the ulcer from returning. Ulcers of the small intestine are two to three times more common than stomach ulcers. Stomach ulcers frequently cause a burning pain which may be relieved by treatment with antacids. According to Cancer Research UK, April 2011, stomach cancer accounts for around 2% of all cancers in the UK. Studies have shown that there is a strong link between long term H pylori infection and stomach cancer. Helicobacter pylori (H pylori) infections can be diagnosed by a number of techniques. The simplest is a blood test to detect antibodies. These tests are sensitive and specific. However, antibody levels can remain high for years after successful treatment. The antibodies can be found in saliva as well as blood but the saliva tests are not as reliable. It is currently recommended that all patients with ulcers of the stomach or small intestine should be treated to remove H pylori infection. Standard treatment is successful in 9 out of 10 patients with very low re-infection rates. 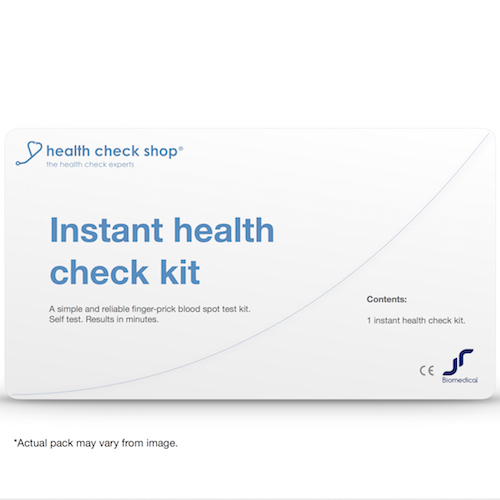 Bowel cancer screening kit INSTANT SELF TEST As reliable as a hospital laboratory testFIT ..
Coeliac Disease Test for Gluten Sensitivity INSTANT SELF TEST Simple and reliable home blo..
Irritable Bowel Screen INSTANT SELF TEST Three separate home test kits for coeliac disease.. Blood Glucose Health Care TestA simple and affordable blood spot test to help diagnose whether you c..